Sergey Zybko is awarded the State Order for Achievements at Sea for his operations in Arctic waters. «We sailors are all patriots,» Zybko told the President as the distinguished medal was pinned to his chest. «I and my crew have had the honor of taking part in historical events connected with the development of the Russian Arctic, events that I could only dream of as a kid,» the ship captain added in a speech delivered in a ceremony in the Kremlin. Sergey Zybko is captain of the «Christophe de Margerie», the powerful LNG carrier that now shuttles to Sabetta in Yamal Peninsula. 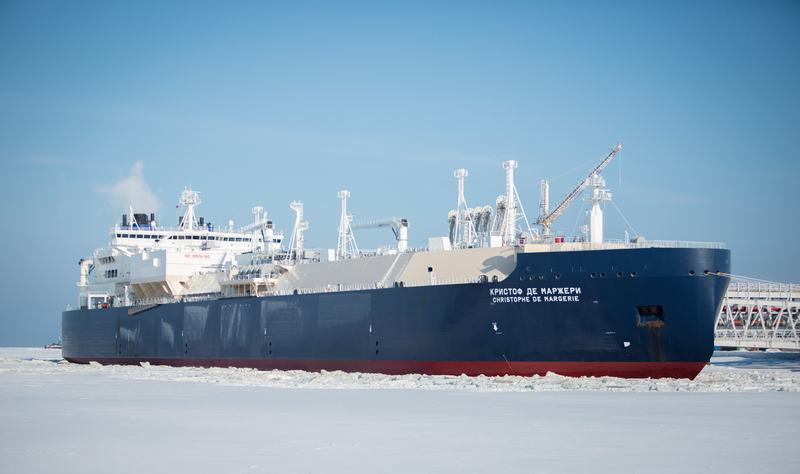 The ship is the first in a fleet of 15 vessels built to serve the huge Russian natural gas project. 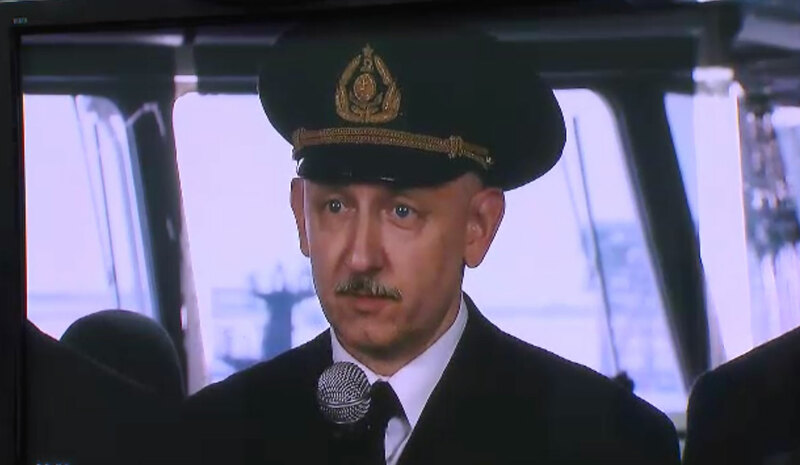 It is not the first time that President Putin talks with tanker captain Zybko. As the the «Christophe de Margerie» was doing its first test voyage in the Arctic in late March 2017, the two men spoke on a direct video link between Sabetta and the Kremlin. «The ship is technically faultless, the crew is healthy and the vessel has shown its high level of performance in ice, it is ready for year-round navigation and shipping of gas from Sabetta,» Zybko told the President. The captain, who is now employed by Russian national shipping company Sovcomflot, has long experience from the world seas. He started his career in the Soviet Navy and for years served on a submarine. In 1995, he got a job on a Norwegian natural gas carrier and after five years became ship captain, he told TASS. In 2006, he was offered a job in Sovcomflot as has since worked in the company.